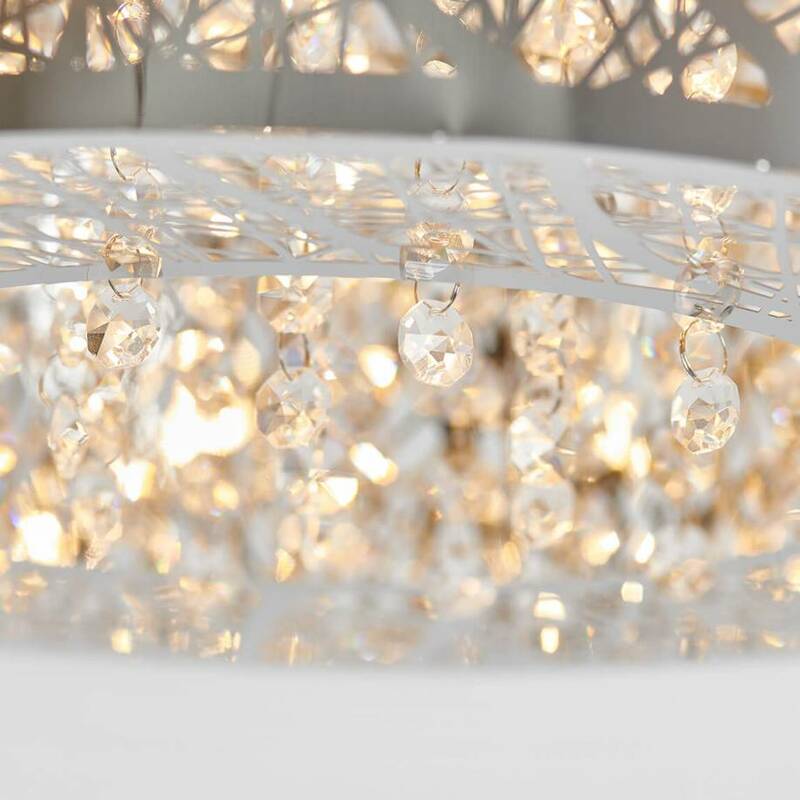 Make your home shine bright by installing the splendid Crystal Nest. 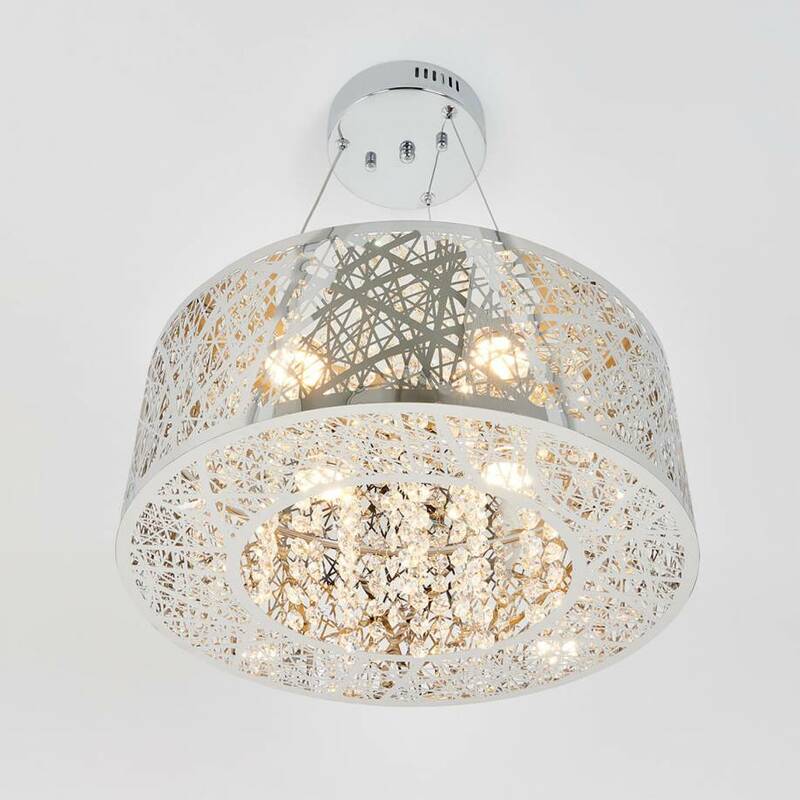 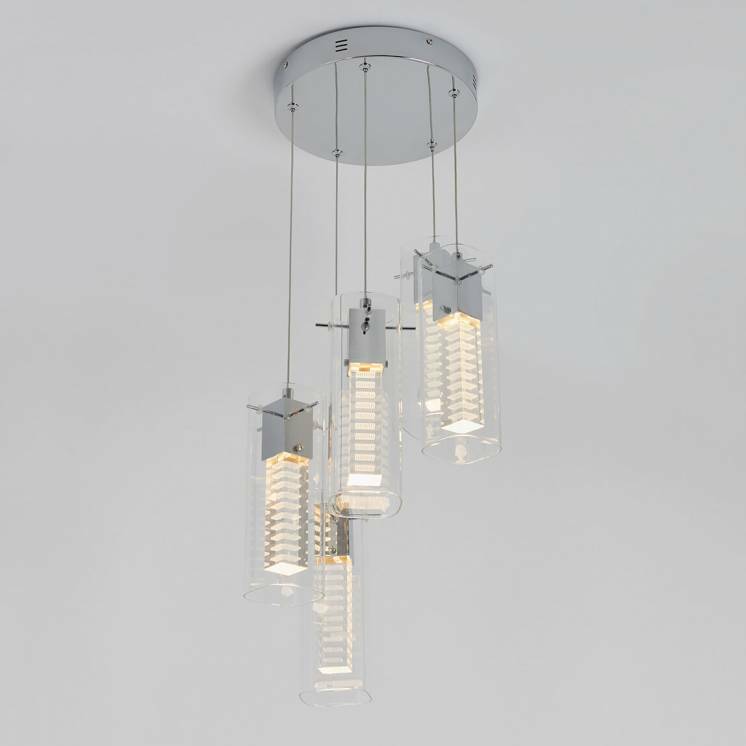 This decorative chandelier gives a unique touch to your living space, especially thanks to the aestheticism of the patterns surrounding its large stainless steel chrome-finish reflector. 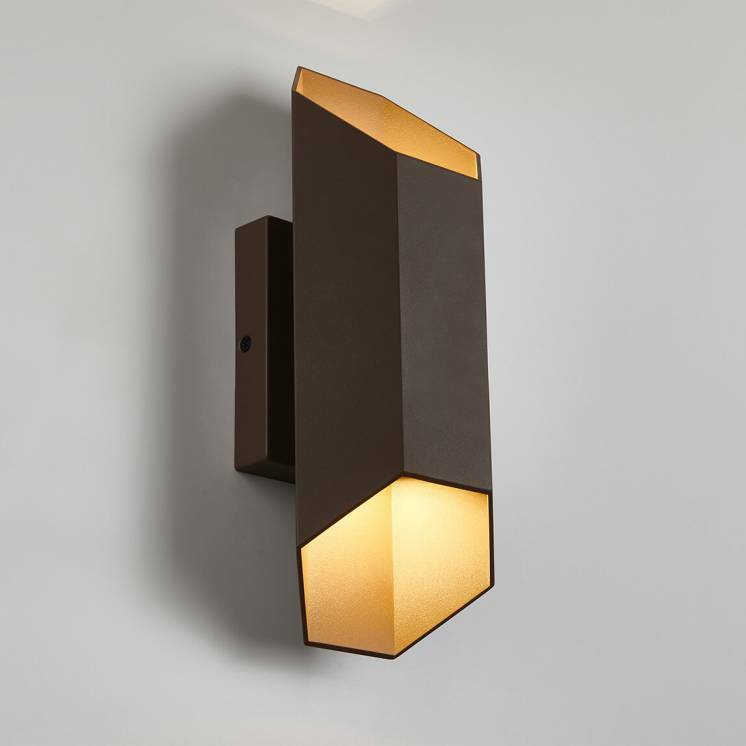 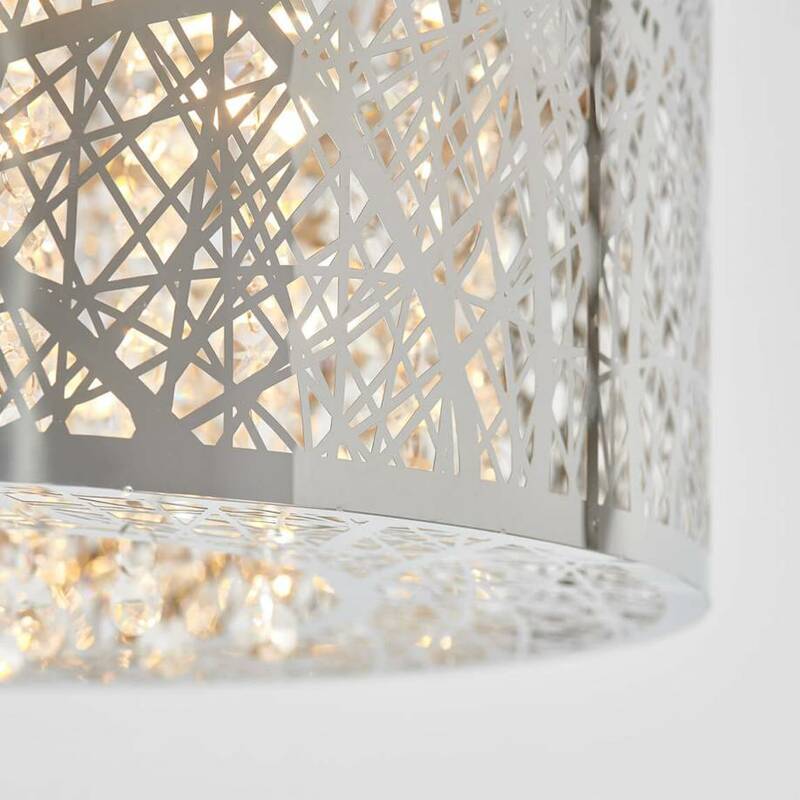 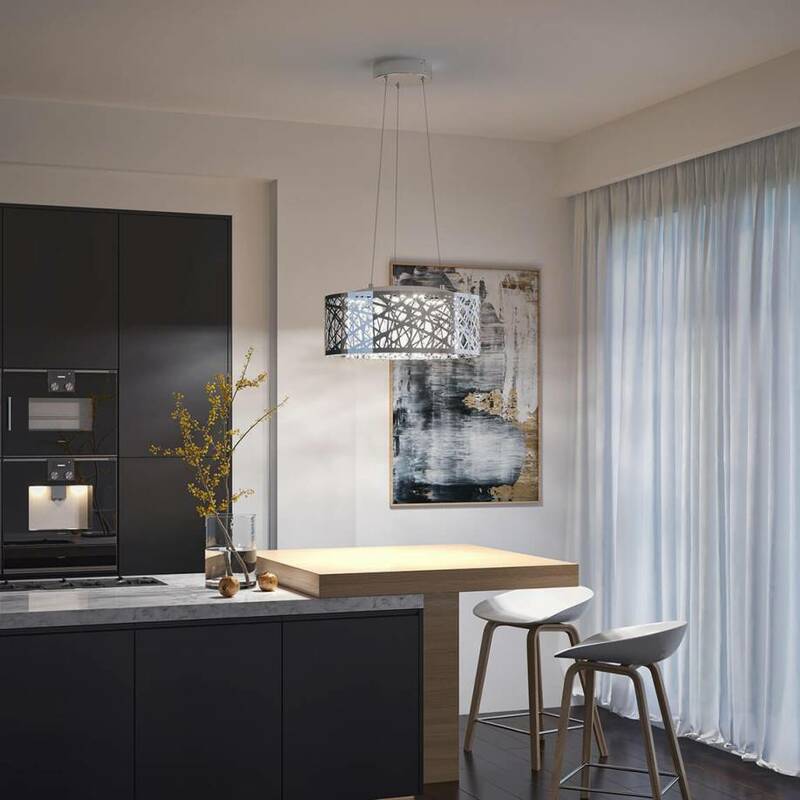 The shadow effects that this design creates allow this lighting fixture to perfectly accent your home. 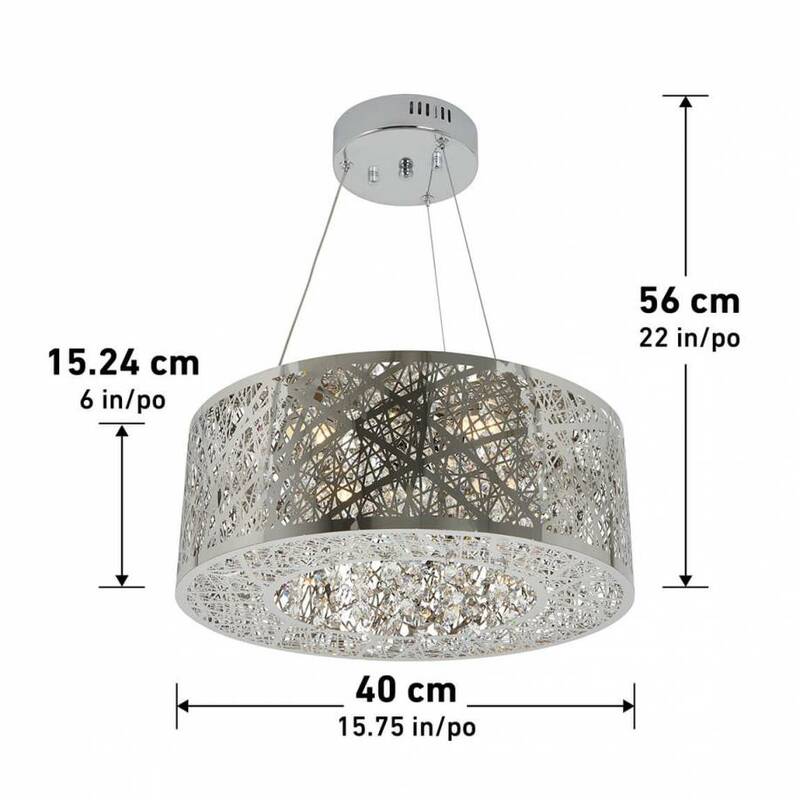 What's more, the multitude of glass crystals arranged at the center or this luminaire are sure to infuse your interior with a touch of dazzling style. 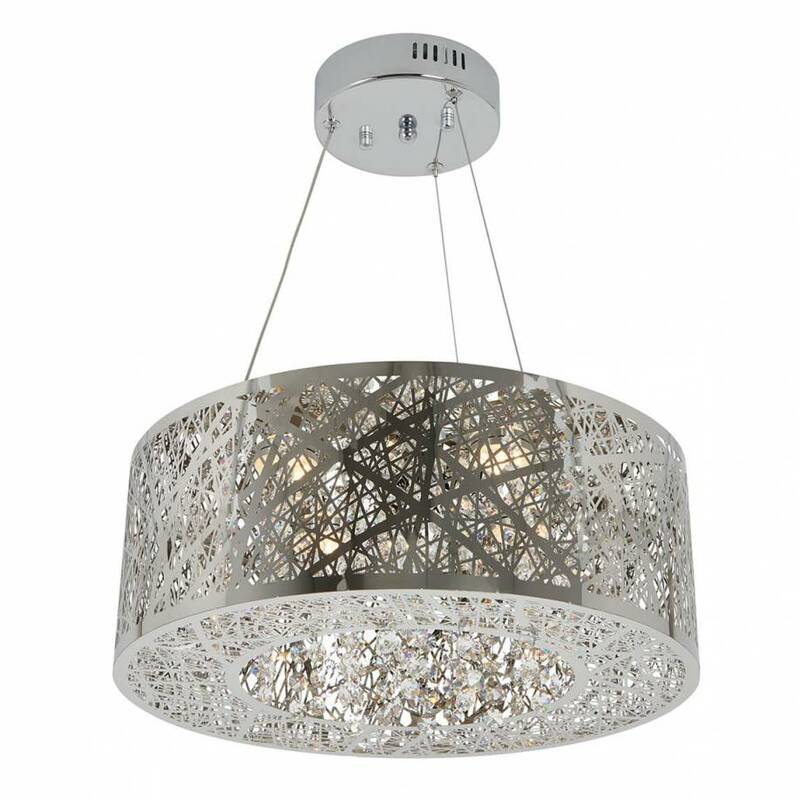 The Crystal Nest does not only shine by its elegance, it is also energy efficient. 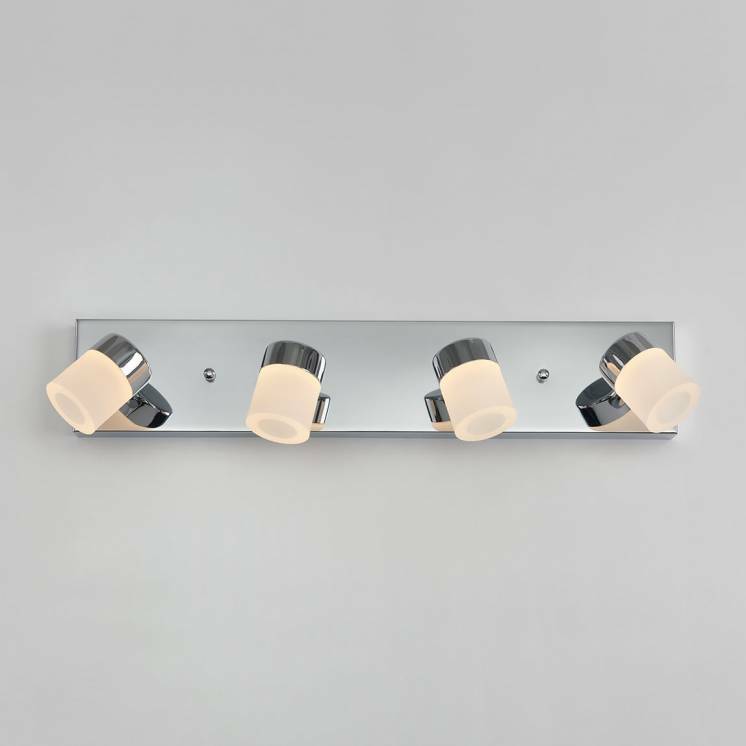 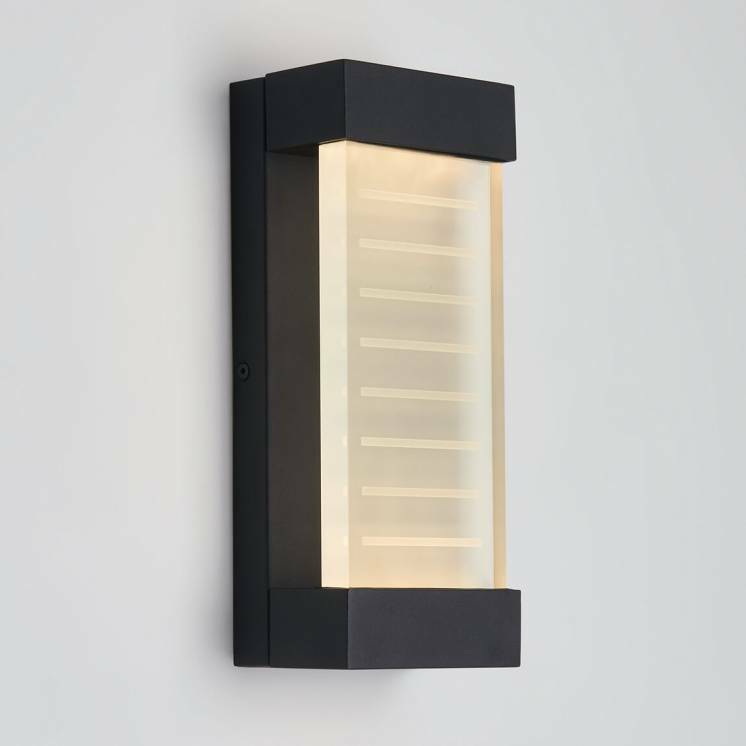 Energy Star-certified, this LED light fixture gives you the opportunity to reduce your light bill while tremendously adding to the cachet of your home. 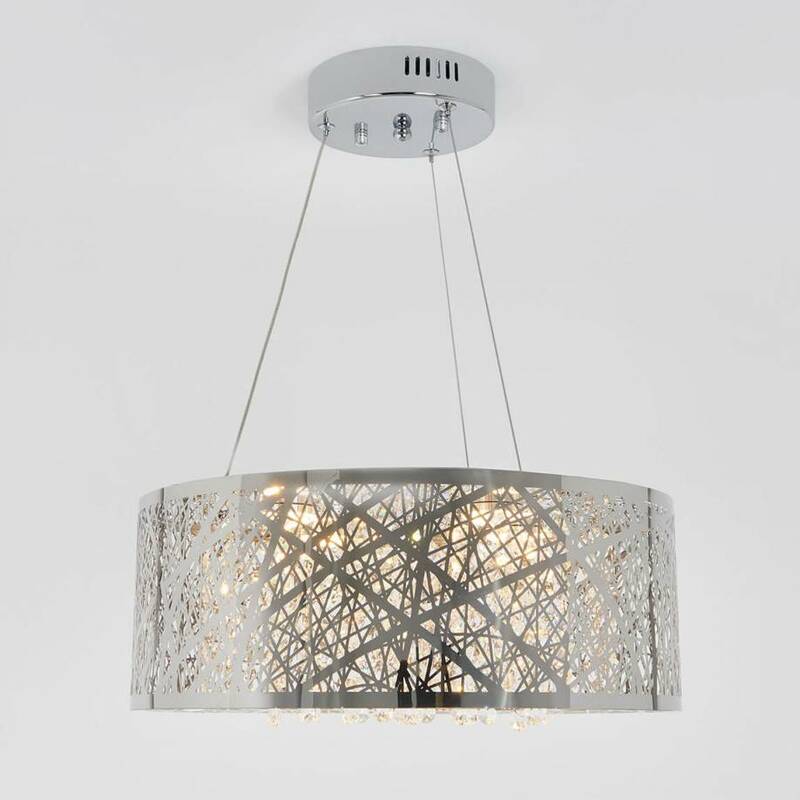 Accentuate the beauty of your interior with this reliably stylish model.